From his very first job as a dishwasher at a local Italian restaurant, Pajak’s career has been centered on food ever since. In 1996, he moved to Las Vegas and enrolled at the University of Nevada, Las Vegas, from which he received a bachelor’s of Culinary Arts Management in 2003. His most coveted experience while in culinary school was during a 6 month internship in Nanjing, China, where he mastered the art of wok cooking and had the privilege of preparing his first traditional Thanksgiving meal. While at UNLV, he worked in numerous restaurants around Las Vegas, including Planet Hollywood, New York New York Casino and TPC Country Club, where he prepared meals for participants on the PGA Tour. 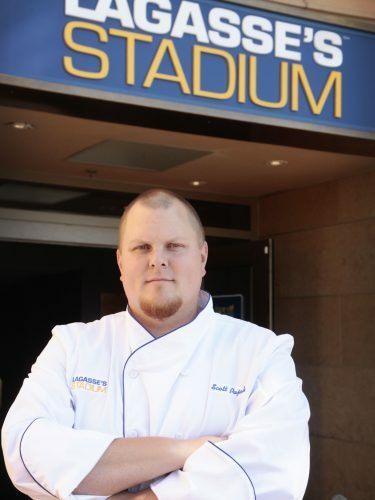 In May 2011, Pajak was given the opportunity to lead his own team at one of Vegas’ biggest restaurants and sports venues, when he was promoted by Emeril Lagasse to chef de cuisine of Lagasse’s Stadium. 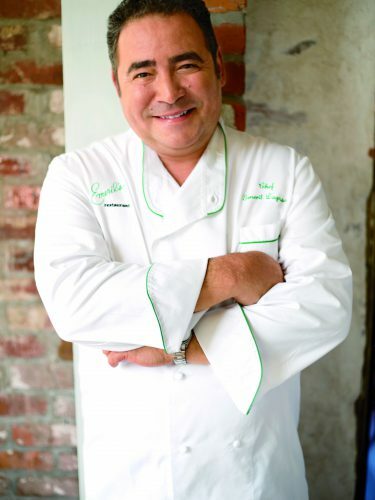 At Stadium, he draws upon his love of the grill, the art of bold seasoning and his experiences in Lagasse’s fine-dining restaurant, to craft the menu of classic American favorites. When he’s not working to feed hungry fans at Lagasse’s Stadium, Pajak enjoys watching the game and cooking some of his favorite tailgating food for his friends and family. Hailing from Buffalo, NY, it’s usually buffalo wings or kicked-up chili with black beans and ham hock. But his go-to dish at the Stadium – grilled ribeye – still takes him back to his youth.